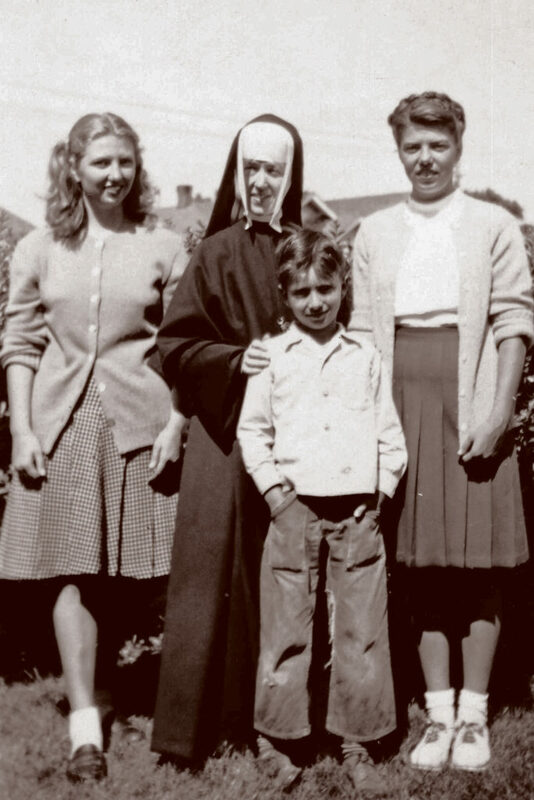 Joanne Goheen (left), her brother Ed (front) and sister Pat (right) visited their aunt Sister Veronica Mary at the convent in Oregon in 1946. Born in California, Joanne Veronica Goheen did not meet her father’s Oregon-based sister (and her own namesake), Sister Veronica Mary Goheen, until she was 10 years old. Still, her aunt made a lasting impression. Joanne has truly followed in her aunt’s footsteps, both in a career of education and in a commitment to caring for others. If you would like to include the Sisters of the Holy Names in your estate plans, please email development@snjmuson.org or call Sarah Harris – (503) 675-7111.